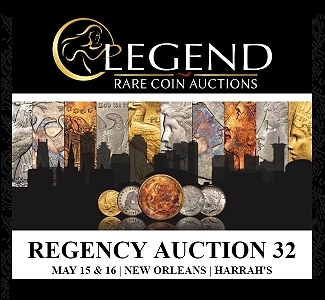 A record total of 17 U.S. rare coins sold for $1 million or more in 2015 and a combined total of more than $439 million of U.S. coins sold at major public auctions last year, according to the Professional Numismatists Guild. 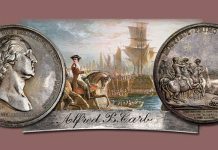 From multi-million dollar pennies to nearly $5 million paid for an early American silver dollar, the market for superb-quality, historic U.S. rare coins remained strong in 2015, according to the Professional Numismatists Guild. A record number of 17 U.S. rare coins sold for $1 million or more each at public auctions during the year. “The consensus estimate is that the overall U.S. rare coin market in 2015 was between $4.5 billion to $5 billion, although one expert estimated it at $6 billion. 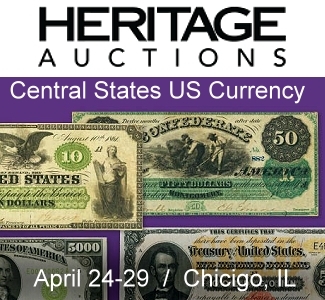 The aggregate prices realized for U.S. coins sold at major public auctions in 2015 totaled $439,623,237, compared to $536 million in 2014 and $393 million in 2013,” said PNG President Dana Samuelson. 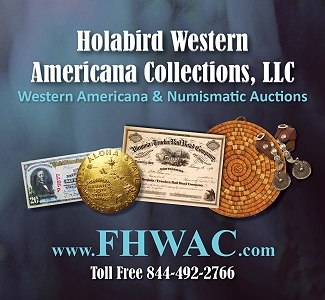 “There were 17 individual coins that brought $1 million or more at auction in 2015, compared to the previous record of 12 that reached that level in 2014 auctions,” Samuelson noted. 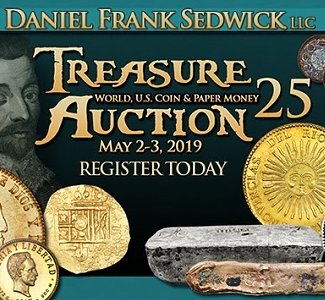 “We saw continuing high demand for so-called ‘trophy coins’ from several important collections that were sold at auctions in 2015. As gold and silver prices dropped during the year and significant money was being spent on prized, big ticket numismatic rarities, there was weakness in the market for ‘average’ grade, commonly available coins. However, prices remained strong for U.S. rare coins that combined historical significance, rarity and superb condition,” said Samuelson. The PNG is a nonprofit organization composed of many of the country’s top rare coin and paper money dealers. 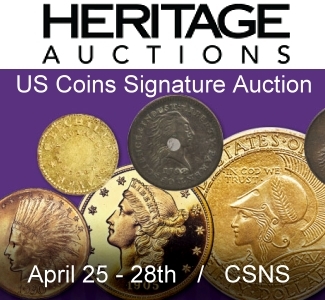 “In a year-end survey of auction house executives, most of the experts responding estimated the overall 2015 coin market in the U.S. at between $4.5 billion to $5 billion. That includes auctions and private transactions made at coin shows, by mail order, online and at coin stores, but does not include numismatic bullion items or the modern coins sold directly by the United States Mint,” explained Samuelson. 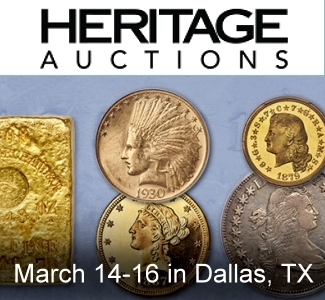 Two companies surpassed $100 million in auctions of United States coins: Heritage Auctions at $254,097,887 and Stack’s Bowers Galleries at $104,991,259. 1794 Flowing Hair dollar PCGS MS 66+ Stack’s Bowers/Sotheby’s for $4,933,750. 1795 Capped Bust design Eagle PCGS MS66+, Stack’s Bowers/Sotheby’s, $2,585,000. 1792 Birch design copper cent NGC MS65 with CAC sticker, Heritage, $2,585,000. 1793 Chain design copper cent, PCGS MS66, CAC, Heritage Auctions, $2,350,000. 1808 Capped Bust design Quarter Eagle PCGS MS65, Stack’s Bowers/Sotheby’s, $2,350,000. 1792 pattern quarter struck in copper, NGC MS63, CAC, Heritage, $2,232,500. 1907 UHR, inverted edge Double Eagle,PCGS Proof 68, Heritage, $2,115,000. 1880 Coiled Hair design Stella, NGC PR67, CAC, Heritage , $1,821,250. 1796 Draped Bust quarter, PCGS MS66, Stack’s Bowers/Sotheby’s, $1,527,500. 1797 Draped Bust half dollar, PCGS MS66, Stack’s Bowers/Sotheby’s, $1,527,500. 1776 Continental dollar “CURENCY,” NGC Extremely Fine 40, Heritage, $1,527,500. 1776 Continental dollar “CURRENCY” and EG FECIT design, NGC MS62, Heritage, $1,527,500. 1792 Birch cent lettered edge, “TO BE ESTEEMED BE USEFUL” lettered edge, PCGS About Uncirculated 58, CAC, Stack’s Bowers, $1,175,000. 1798 Capped Bust Right, small eagle Half Eagle , PCGS AU55, Stack’s Bowers/Sotheby’s, $1,175,000. 1880 Coiled Hair design gold Stella , PCGS PR65, CAC, Heritage, $1,116,250. 1792 copper pattern disme, NGC MS64, CAC, Heritage, $1,057,500. 1795 Capped Bust Right Eagle, PCGS MS63+, Stack’s Bowers/Sotheby’s, $1,057,500. 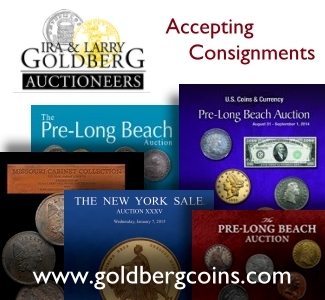 The auction companies either responding directly to a PNG questionnaire about their 2015 auctions of United States rare coins or whose auction sales figures were compiled from public announcements during the year were (in alphabetical order): Bonhams; David Lawrence Rare Coins; GreatCollections Coin Auctions; Heritage Auctions; Ira and Larry Goldberg Coins & Collectibles; Legend Rare Coin Auctions; and Stack’s Bowers Galleries and auctions conducted jointly by Stack’s Bowers and Sotheby’s. All prices include the buyer’s premium, if any, to reflect the actual total prices paid by the winning bidders. The PNG survey did not include 2015 auctions of paper money or coins produced by other countries (“world coins”), two areas of the numismatic marketplace that also experienced record prices for many items. “We have an important saying in the numismatic marketplace. If you don’t know rare coins, you’d better know your rare coin dealer,” advised PNG President Samuelson. Founded in 1955, the Professional Numismatists Guild is composed of many of the country’s top rare coin and paper money dealers. PNG member-dealers must adhere to a strict code of ethics in the buying and selling of numismatic merchandise. 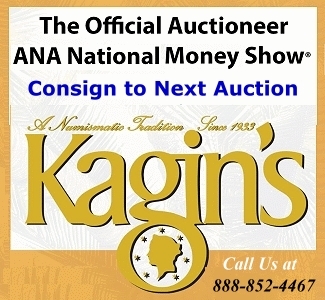 A complete listing of PNG member-dealers is available at http://www.pngdealers.org/find-a-png-dealer?view=browselist. For a copy of “The Pleasure of Numismatics,” an informative, ten-page illustrated educational booklet about collecting rare coins, paper money, tokens and medals, send $1 to: Professional Numismatists Guild, 28441 Rancho California Road, Suite 106, Temecula, California 92590. For additional information about the Professional Numismatists Guild, visit online at www.PNGdealers.org or call the PNG headquarters in Temecula, California at (951) 587-8300.